Prospera's Electronic Slim Massager tones muscles in your waist, arms, legs and abdomen with its powerful knock and high-speed vibration massage. You can regulate the intensity of the massage with four operating modes: constant vibrating, pulse, wave, and cycle of vibrating. 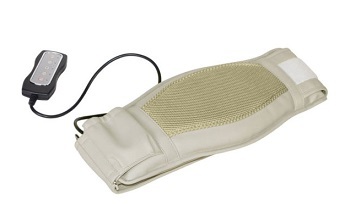 Your muscles will sigh with relief when you soothe them with the Electronic Slim Massager. 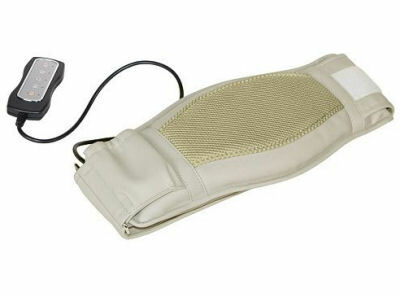 The ultra-light unit comes with a remote control and can be easily adjusted with a Velcro strap, to bring maximum sensation just where you need it. Firm up muscles at home or in the office! Shipping and handling is $15, within the 48 continental United States. An additional fee of $30.00 will apply for delivery to Hawaii, Alaska, Puerto Rico and Canada. We will be unable to accommodate deliveries to any other international destinations. Shipping & Handling: $15 within the contiguous United States. If shipping to Alaska, Hawaii, Puerto Rico, or Canada $30 additional.